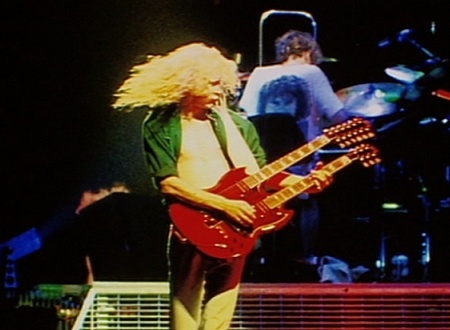 Archive Def Leppard news updates. 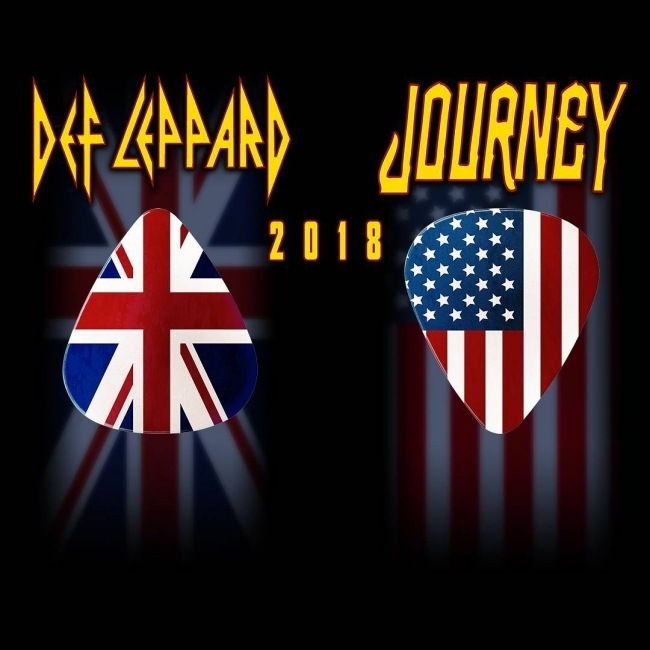 Def Leppard/Journey will have two major support bands with them in stadiums in the USA and Canada. 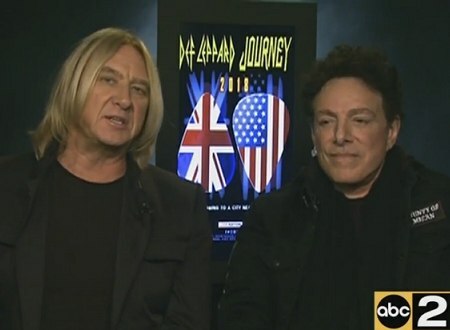 Def Leppard singer Joe Elliott was interviewed by local TV about the 2018 North American tour and video is available. 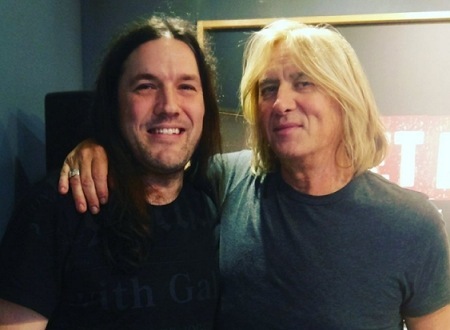 Def Leppard singer Joe Elliott was recently interviewed and mentioned some new upcoming releases by the band. 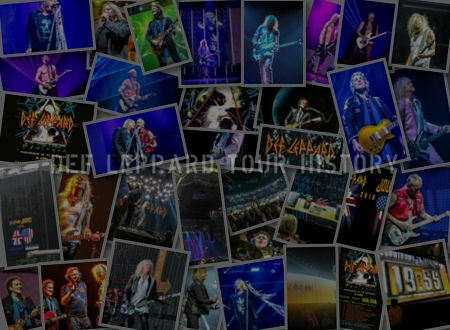 On This Day in Def Leppard History - 31st January, the following concerts and events took place. Def Leppard guitarist Phil Collen was recently interviewed and mentioned plans to expand the Hysteria tour. 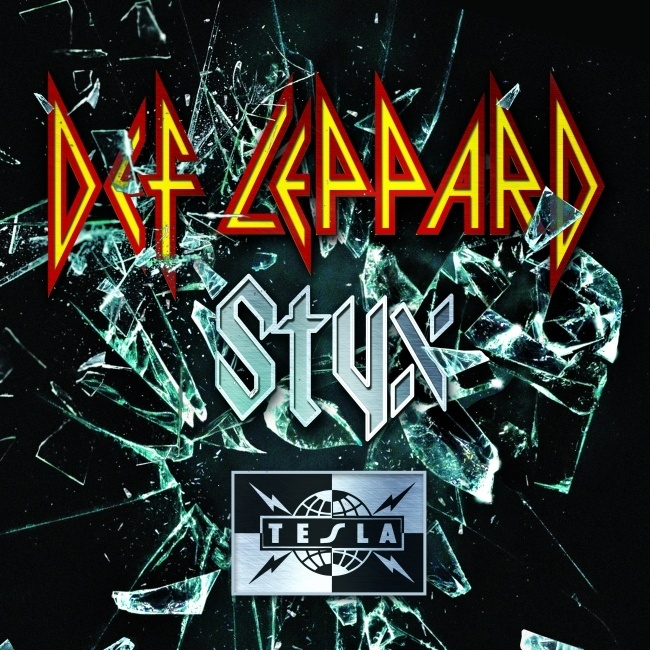 Def Leppard's classic Hysteria, Pyromania and Vault albums have re-entered the US Billboard charts today following their streaming/digital releases. 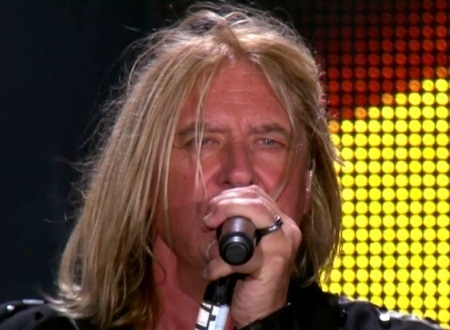 Def Leppard were forced to postpone their show in Orlando, FL on this day in January 2016 due to Joe Elliott's vocal issues. 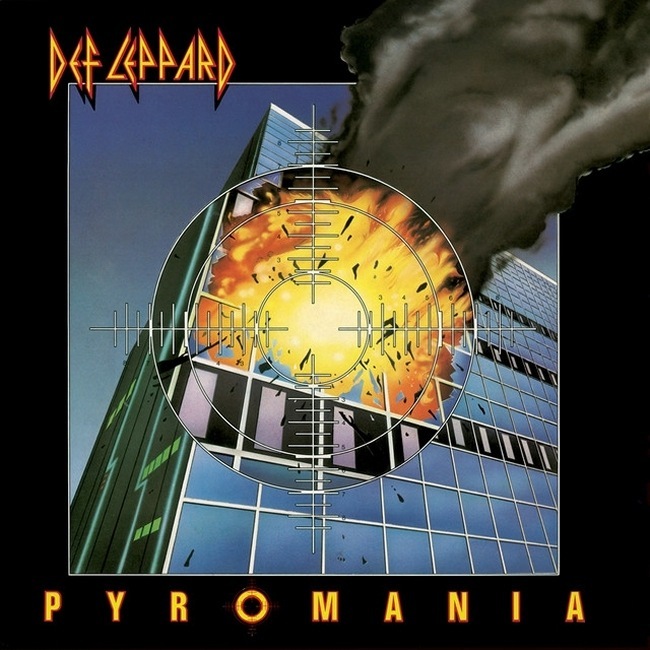 Def Leppard's classic Pyromania album was certified eight times platinum in the USA 26 years ago on this day in 1992. 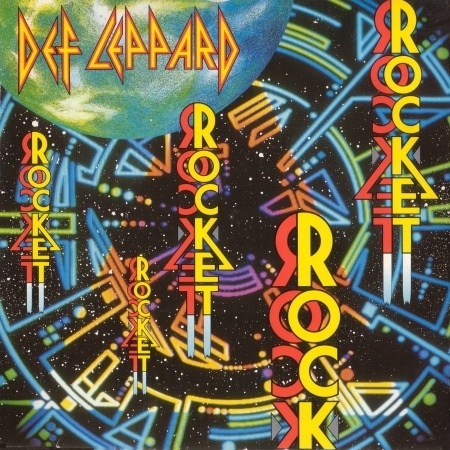 Def Leppard released their classic Rocket single 29 years ago on this day in 1989 in the UK. 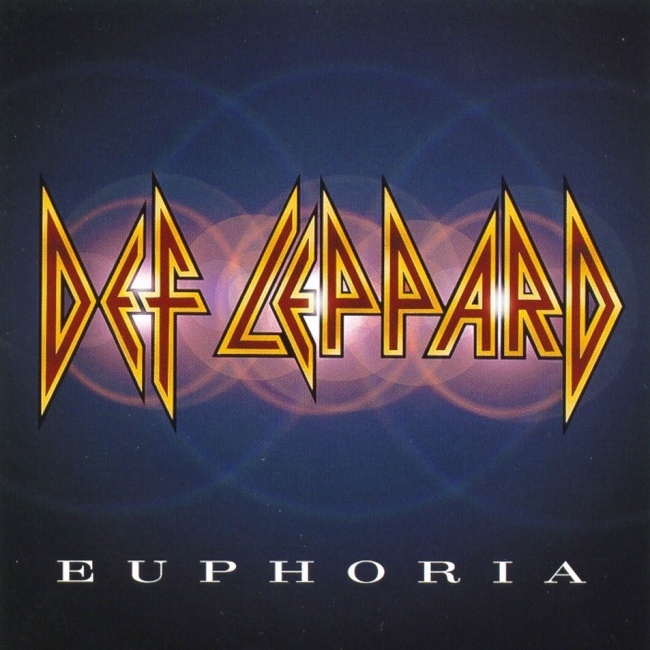 Def Leppard's classic single Stand Up (Kick Love Into Motion) peaked at Number 34 on the Billboard Hot 100 chart on this day in 1993. 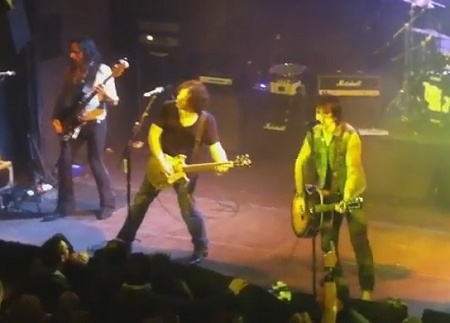 Def Leppard guitarist Vivian Campbell played a show with Thin Lizzy in Barcelona, Spain on 30th January 2011 with video/photos available. 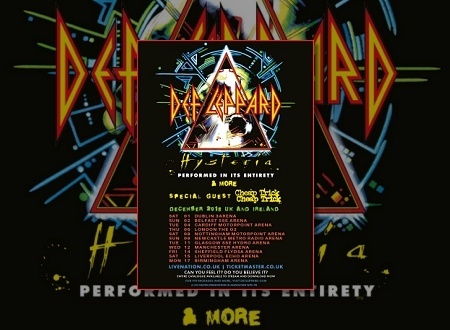 On This Day in Def Leppard History - 30th January, the following concerts and events took place. 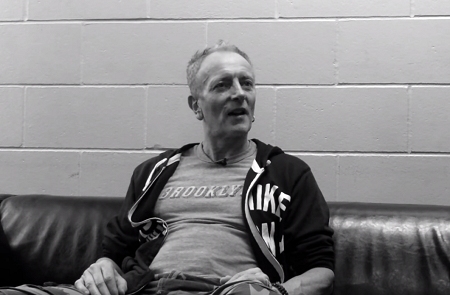 Def Leppard guitarist Phil Collen has been interviewed about the G3 tour and mentioned the next album. 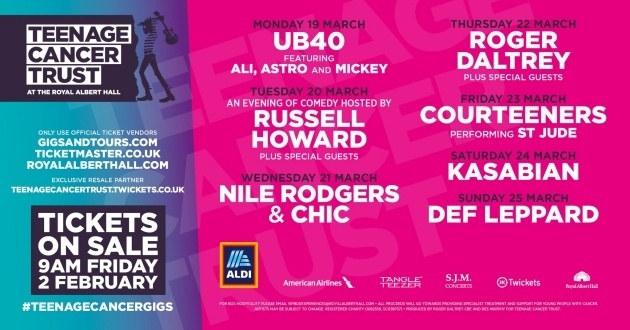 Def Leppard have been announced to play a concert at the Royal Albert Hall for the Teenage Cancer Trust in March. 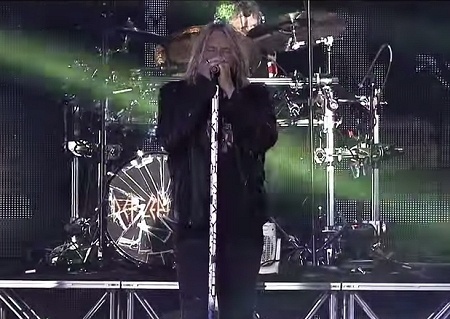 Def Leppard played their opening show of the year in Sunrise/Fort Lauderdale, FL on this day in 2016 and video footage is available. 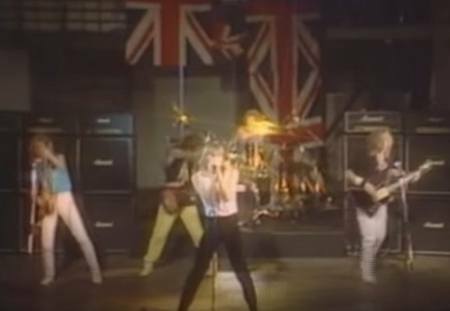 Def Leppard played their first show in Australia 34 years ago today at the Narara Festival outside of Sydney and photos from most of their visits are available. 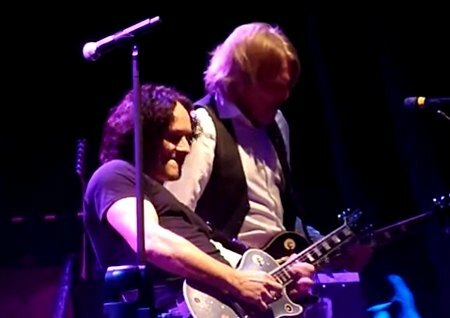 Def Leppard guitarist Vivian Campbell played a show with Thin Lizzy in Bilbao, Spain on 29th January 2011 with video/photos available. 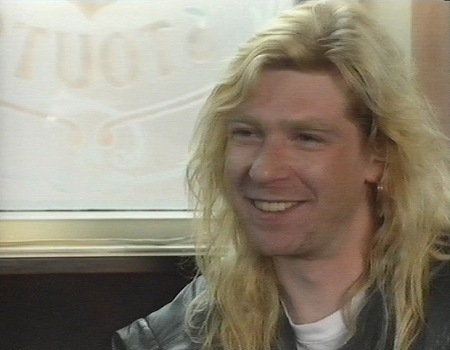 Def Leppard guitarist Steve Clark joined the band 40 years ago today at a rehearsal in Sheffield, England. 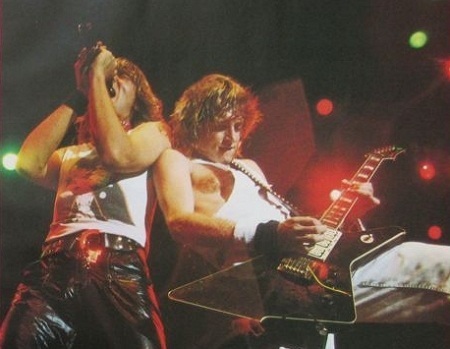 On This Day in Def Leppard History - 29th January, the following concerts and events took place. 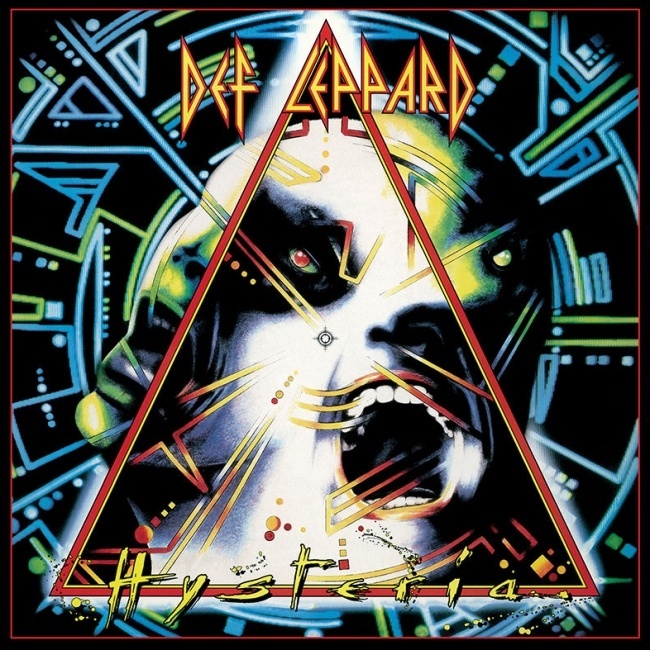 Def Leppard's Hysteria album has re-entered the UK charts this week at Number 41 following it's streaming release. 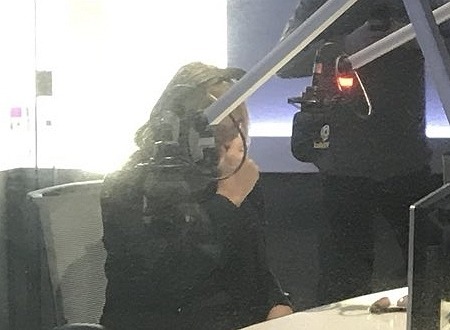 Def Leppard singer Joe Elliott was interviewed by talkSPORT radio on 25th January about the 2018 UK Hysteria tour and the full audio is available. 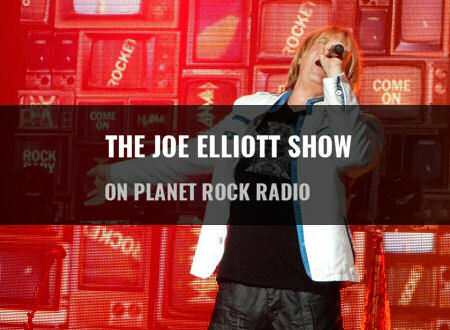 Def Leppard singer Joe Elliott hosted another edition of his weekly radio show last night on Planet Rock. 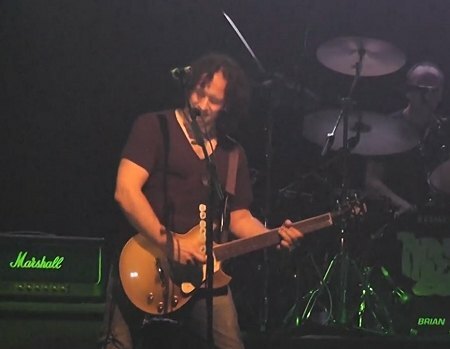 Def Leppard guitarist Vivian Campbell played a show with Thin Lizzy in Madrid, Spain on 28th January 2011 with video/photos available. 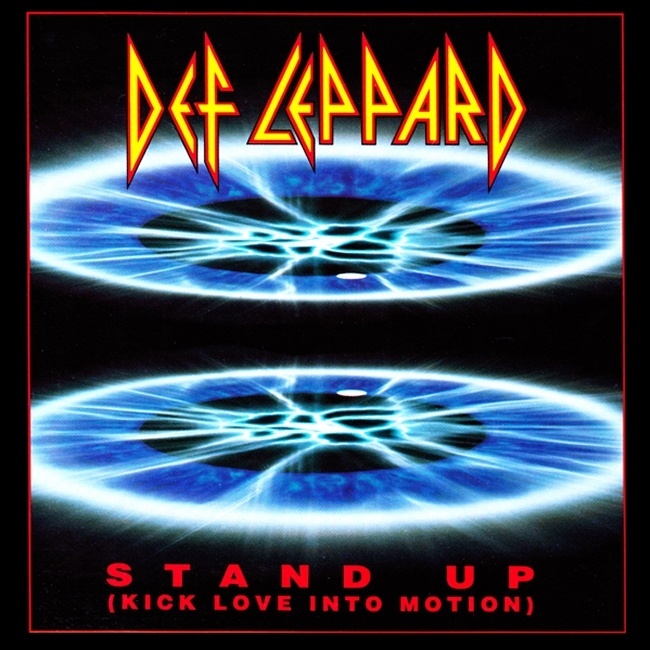 Def Leppard's classic single Stand Up (Kick Love Into Motion) reached the Number One spot on the Billboard Rock Singles chart 25 years ago today. 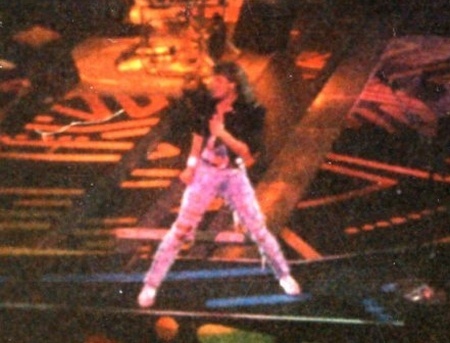 On This Day in Def Leppard History - 28th January, the following concerts and events took place. 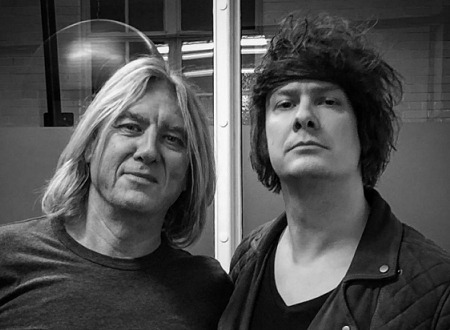 Def Leppard singer Joe Elliott was interviewed on Planet Rock radio yesterday about the 2018 UK Hysteria tour and the full audio is available. Def Leppard debuted their new music video for Dangerous via Guitar Hero Live on this day in 2016. 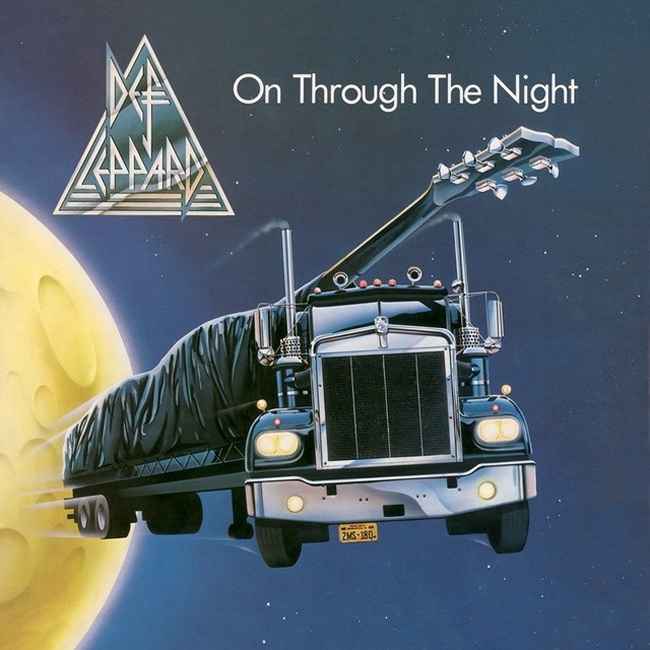 Def Leppard played a show on the On Through The Night tour in London, England on 27th January 1980 and an archive concert review is available to read. 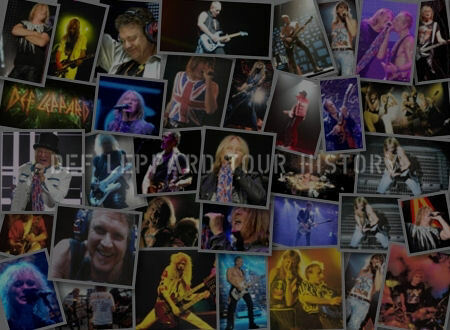 On This Day in Def Leppard History - 27th January, the following concerts and events took place. 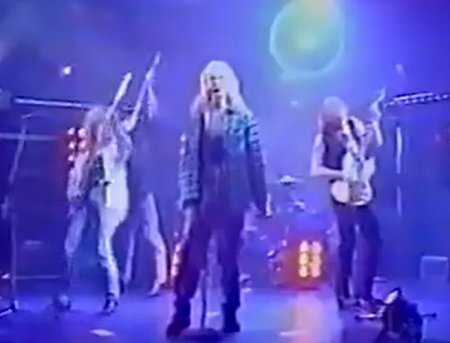 Def Leppard members Joe Elliott and Rick Savage appeared on the BBC's The One Show earlier tonight and video/photos are available. 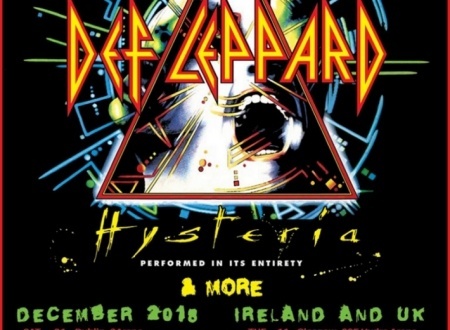 Def Leppard have today added a second London show to their 2018 UK/Ireland Hysteria & More tour which went on sale earlier today. 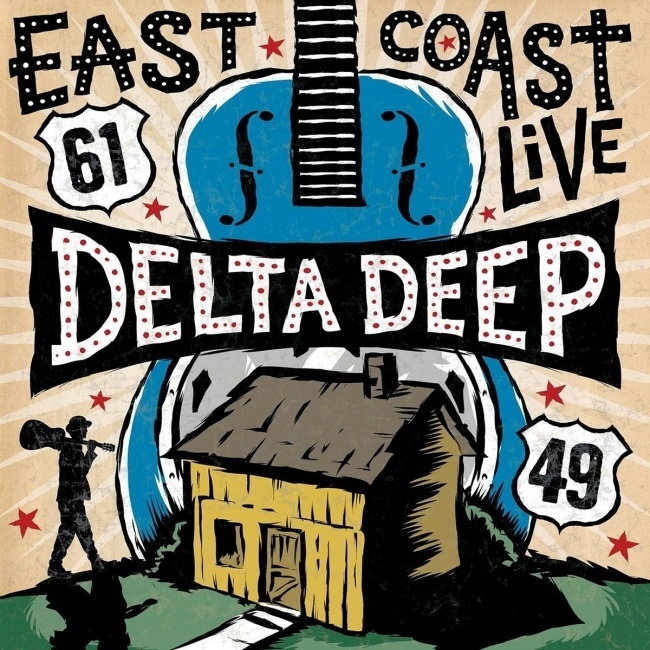 Def Leppard guitarist Phil Collen's side band Delta Deep have today released their East Coast Live album on 2CD/DVD and digital. Tickets for Def Leppard's 2018 UK/Ireland Hysteria & More tour with Cheap Trick are now on general sale. 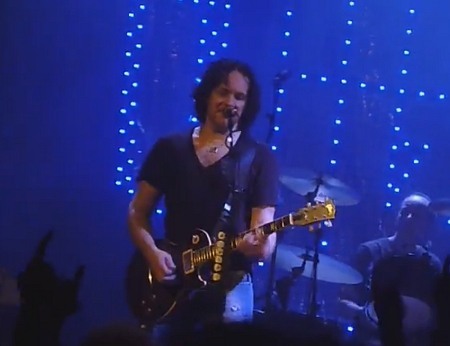 Def Leppard guitarist Vivian Campbell played a show with Thin Lizzy in Paris, France on 26th January 2011 with video/photos available. 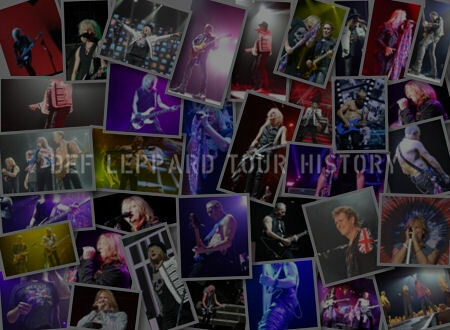 On This Day in Def Leppard History - 26th January, the following concerts and events took place. Def Leppard guitarist Phil Collen was recently interviewed and mentioned the world tour and info on new songs. 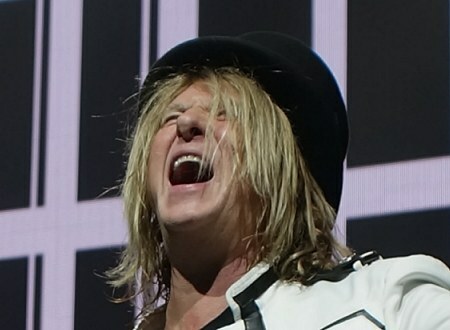 Def Leppard singer Joe Elliott was recently interviewed and discussed the band's new streaming deal. 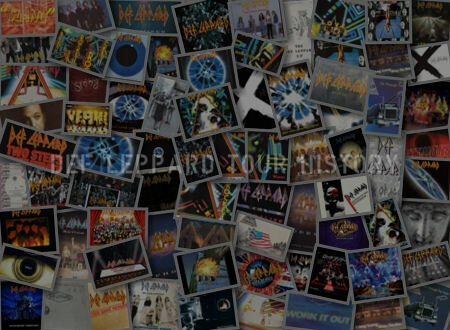 Def Leppard singer Joe Elliott was recently interviewed and mentioned the band's plans for a vinyl box set. 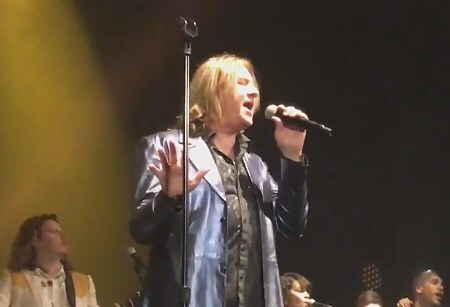 Def Leppard singer Joe Elliott performed two songs at the second Celebrating David Bowie concert in Los Angeles, CA on this day in 2017. 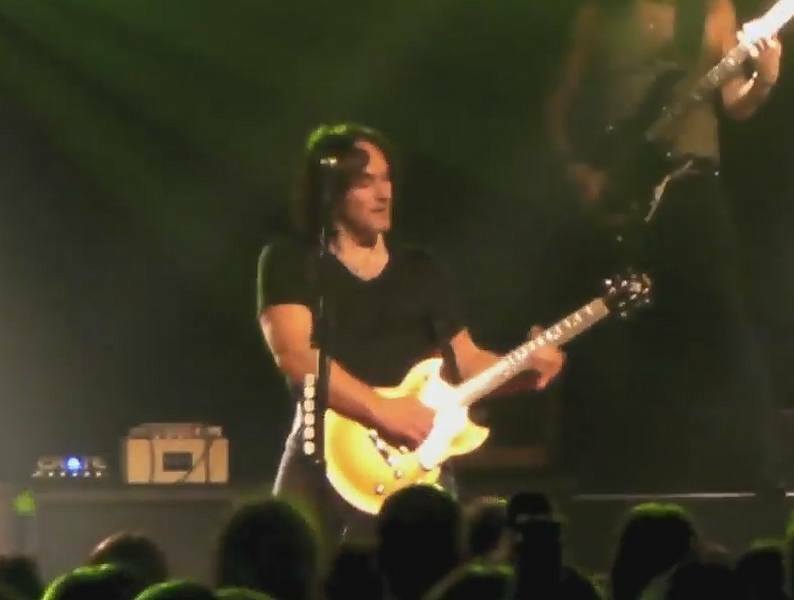 Def Leppard guitarist Vivian Campbell played a show with Thin Lizzy in Amsterdam, Holland on 25th January 2011 with video/photos available. On This Day in Def Leppard History - 25th January, the following concerts and events took place. 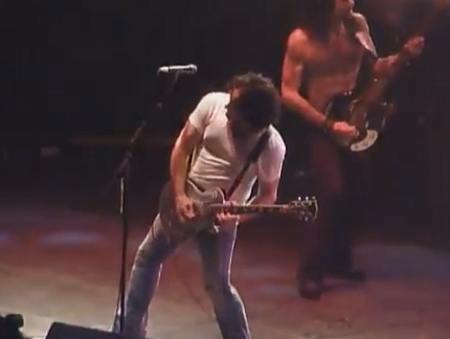 Def Leppard guitarist Phil Collen commented on the band's streaming deal and new music during a new radio special. 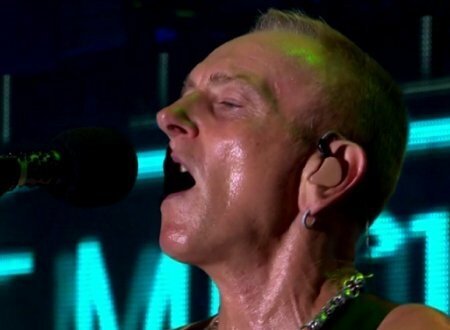 Def Leppard guitarist Phil Collen has said the band will expand their touring worldwide in 2019 during a new radio special. 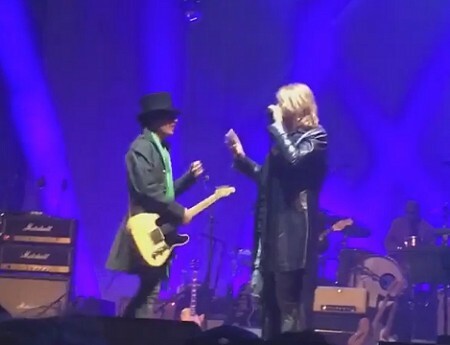 Def Leppard singer Joe Elliott performed two songs at the Celebrating David Bowie concert in Los Angeles, CA on this day in 2017. On This Day in Def Leppard History - 24th January, the following concerts and events took place. 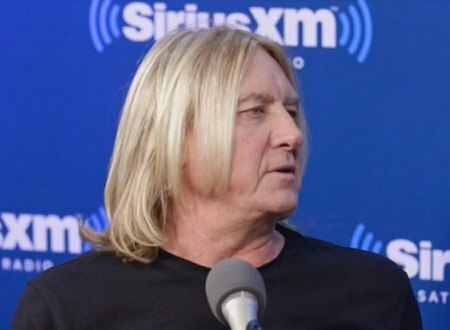 Def Leppard singer Joe Elliott was recently interviewed about the digital rights deal and 2018 tour announcement. 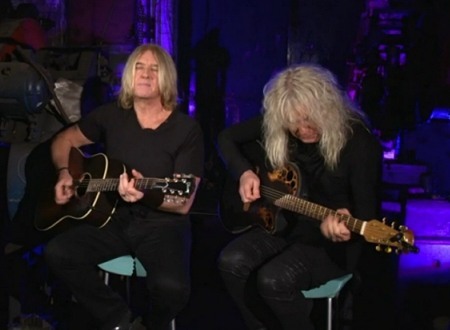 Def Leppard's music catalogue was added to digital services on Friday and Joe Elliott recorded a video message for Deezer. 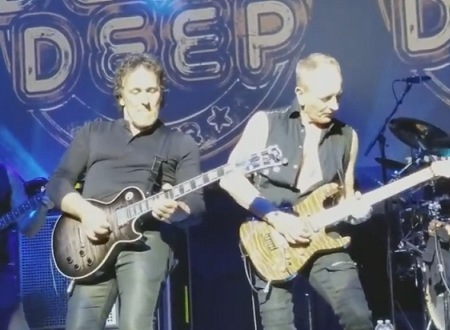 Def Leppard guitarist Phil Collen and Delta Deep played a show on the G3 Tour in Los Angeles, CA on 19th January and photos/video are available. 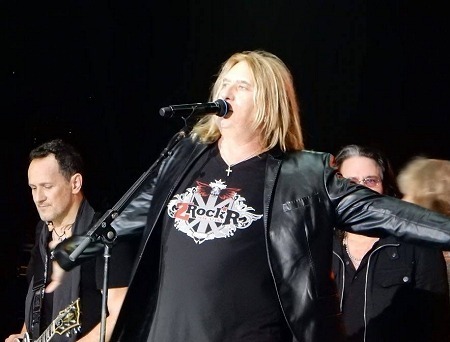 Def Leppard performed their first and only show without Joe Elliott on lead vocals during the Hysteria On The High Seas cruise on this day in 2016. 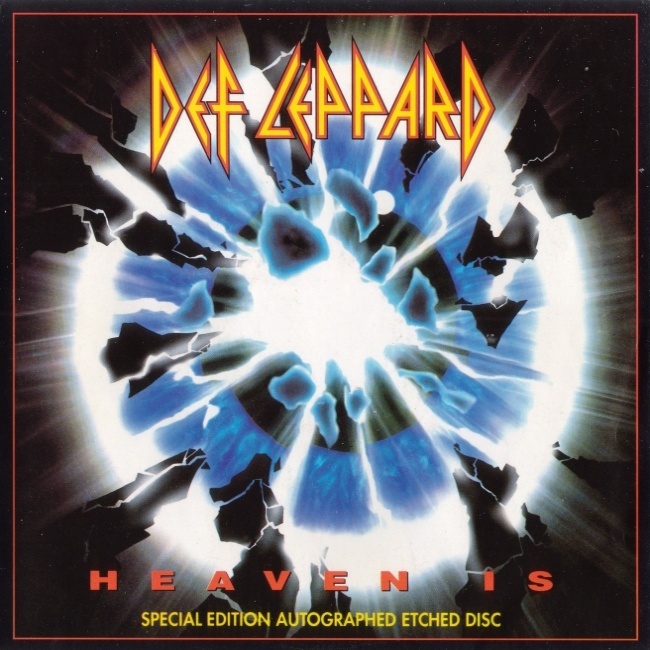 Def Leppard performed a playback version of Heaven Is on UK TV on 23rd January 1993 with video footage available. 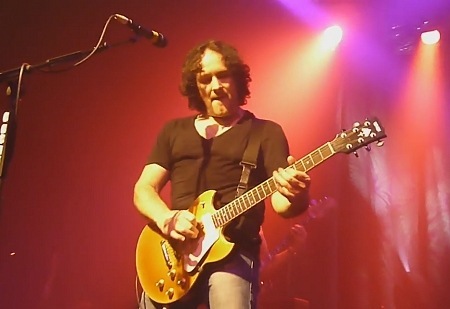 Def Leppard guitarist Vivian Campbell played a show with Thin Lizzy in London, England on 23rd January 2011 with video/photos available. On This Day in Def Leppard History - 23rd January, the following concerts and events took place. 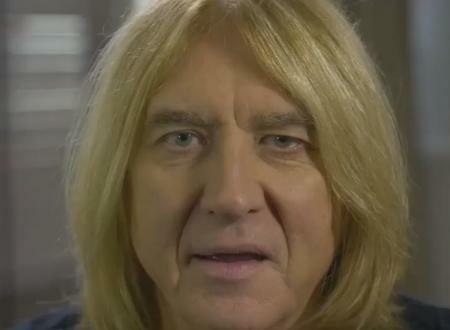 Def Leppard singer Joe Elliott was interviewed live in New York earlier tonight about the 2018 tour and video is available. 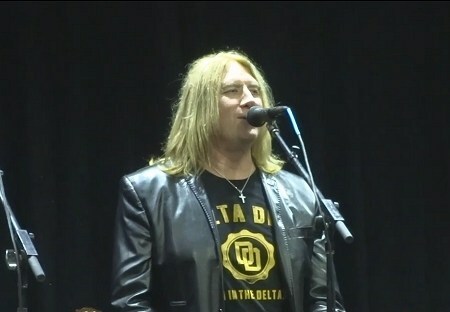 Def Leppard singer Joe Elliott was interviewed on 19th January by Ohio radio and the full audio is available. 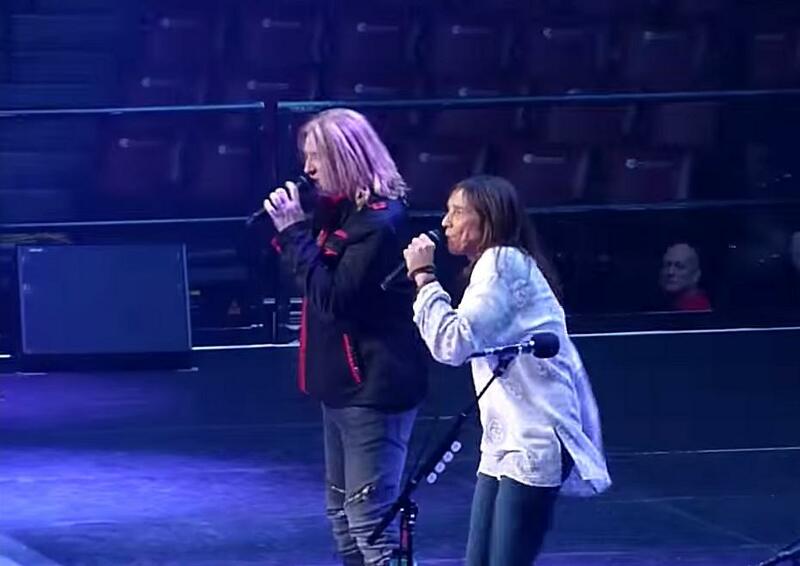 Def Leppard performed a shortened acoustic Storytellers concert during the Hysteria On The High Seas cruise on this day in 2016. Def Leppard guitarist Vivian Campbell played a show with Thin Lizzy in London, England on 22nd January 2011 with video/photos available. 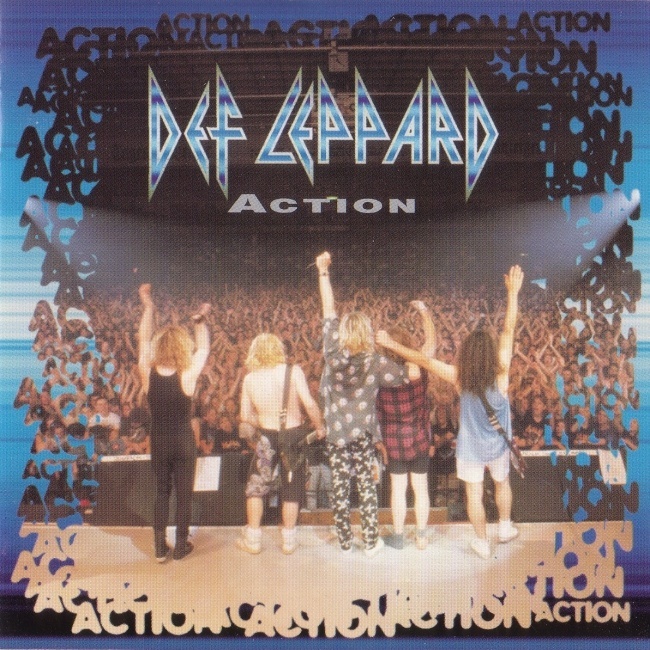 Def Leppard's classic single Action hit Number 14 in the UK singles chart 24 years ago on this day in 1994. On This Day in Def Leppard History - 22nd January, the following concerts and events took place. 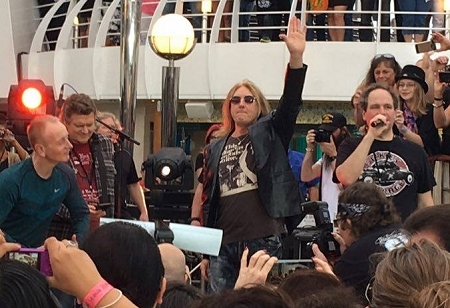 Def Leppard and their fans left the Port Of Miami, FL on this day in 2016 on the first day of the Hysteria On The High Seas cruise. 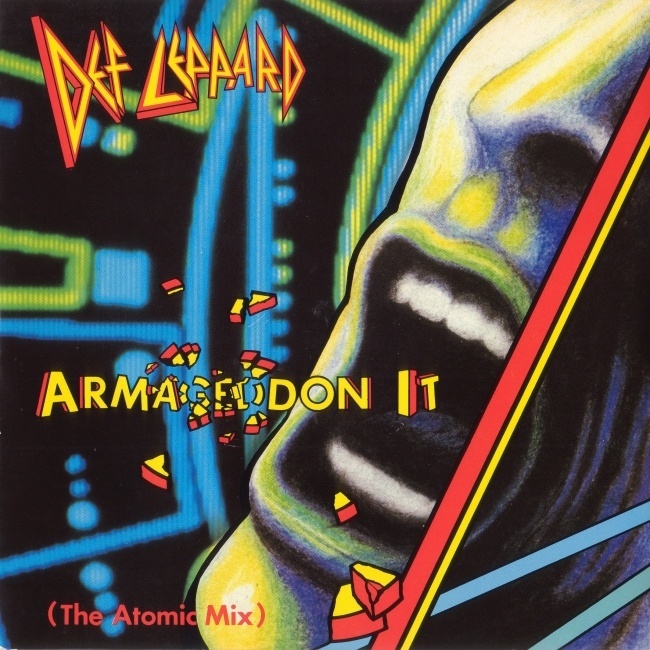 Def Leppard's classic single Armageddon It reached Number Three on the Billboard Top 200 chart on this day in 1989. On This Day in Def Leppard History - 21st January, the following concerts and events took place.